Christmas is a time for loved ones, creating memories and (most importantly) good food! 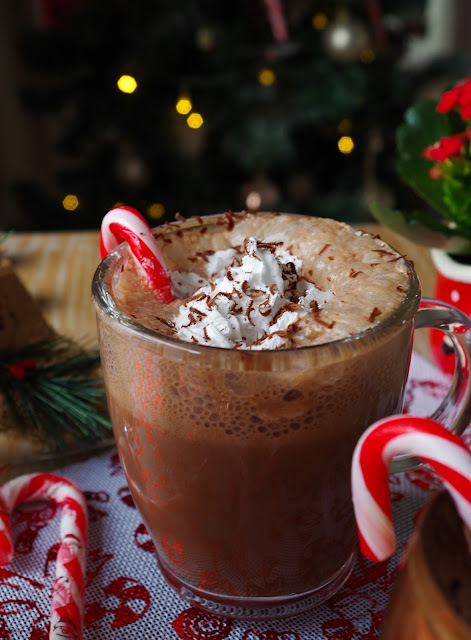 Here I've put together my favourite Christmas recipes to inspire your perfect Christmas, starting off with a warming cup of hot chocolate on Christmas eve. 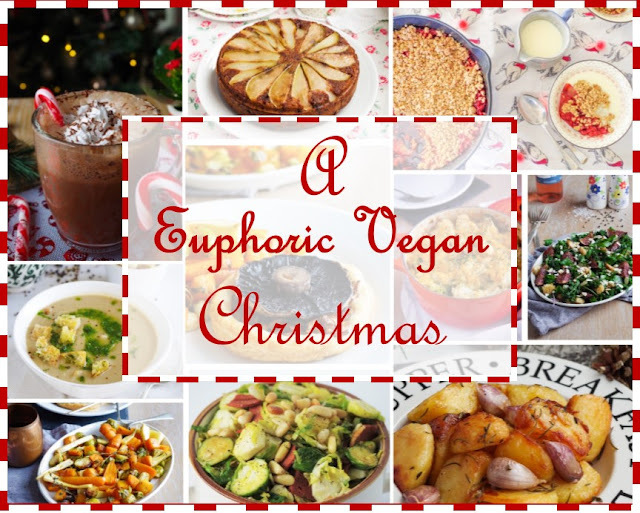 Whether this is your first vegan Christmas, your 3rd or even your 12th meat free Christmas, have a read, get inspired and happy cooking! My hot chocolate is made with cashew milk and dark chocolate, with a touch of peppermint extract, vegan whipped cream and a candy cane. It's the ultimate Christmas eve drink, so make a cup, put your pyjamas on and watch your favourite Christmas movie. 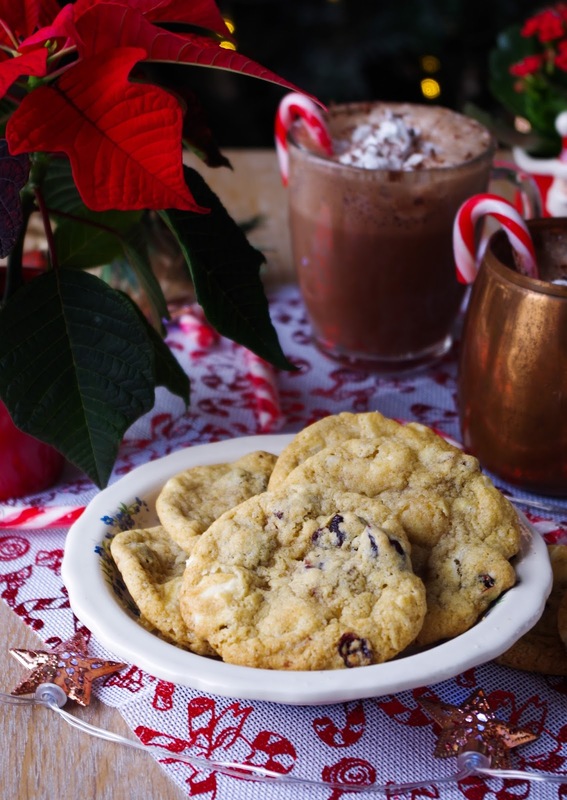 We obviously can't forget a snack for Santa...these cranberry white chocolate cookies really hit the spot, soft, chewy and melt-in-your mouth. And best of all, Santa can't eat 24 cookies...so that leaves plenty to share with family and friends! P.S. don't forget the carrot for Rudolf! 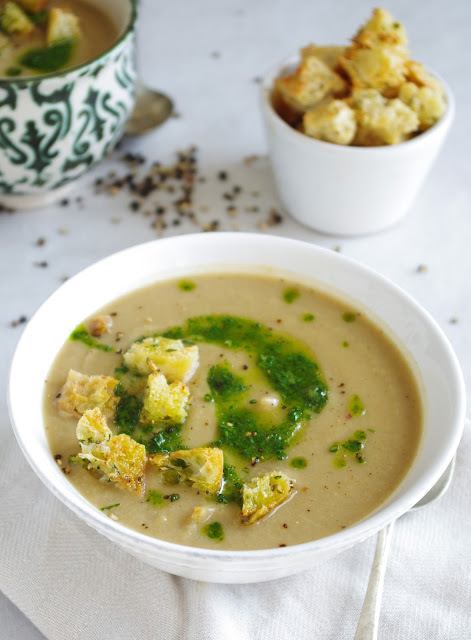 This cauliflower and chestnut soup is packed with smoky, caramelised flavours that just scream winter and will warm you right through, I topped it with a swirl of herb oil and crunchy, smoky garlic sourdough croutons. Soup doesn't get much better than this and it may be the best soup I've ever eaten. A warming, festive starter to your Christmas dinner. If your not a soup fan, why not go for this caramelised fig and broccoli salad? 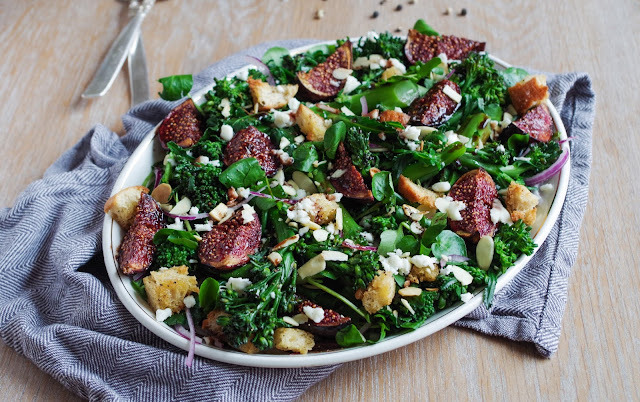 Gooey, warm, caramelised figs - sweet, tangy and a little salty - with tenderstem broccoli, garlic and black pepper croutons, toasted almonds and crumbly vegan cheese on a bed of watercress and drizzled with a balsamic vinegar based dressing. 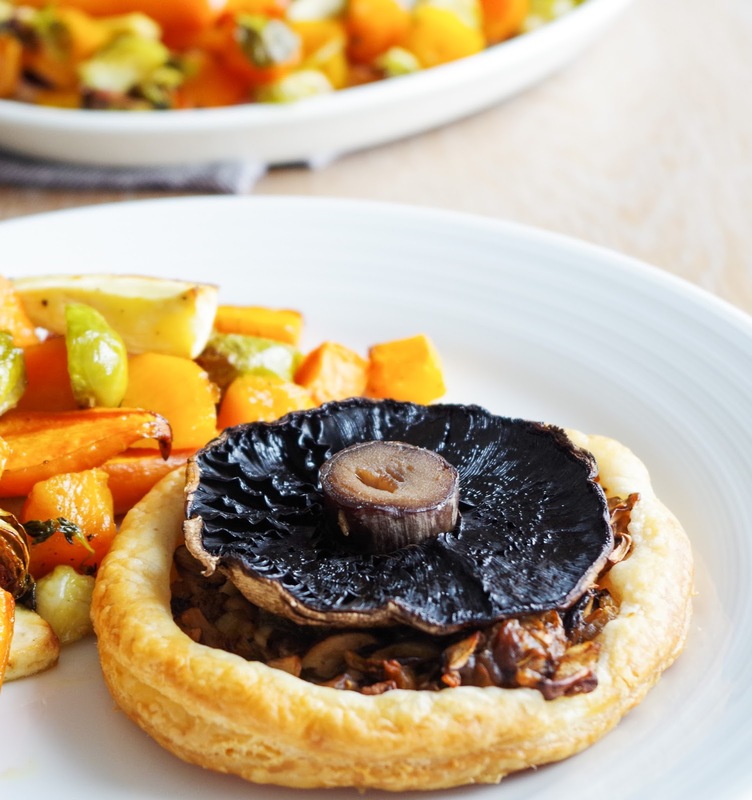 Onto the mains - this portobello mushroom tart really hits the spot for mushroom lovers, with intense dried mushrooms, chesnut and finally portobello mushrooms, infused with thyme and a splash of red wine vinegar, all baked into a crisp, flaky puff pastry tart. These little tarts are individually portioned and absolutely delicious with all the trimmings and lashings of thick gravy! Complete with mushrooms, chestnuts, squash, red onions, herbs, cranberries and a handmade cheese & chive crust, this tart is a absolutely incredible and can even be made a few days in advance for less prep on Christmas day. It's a cross between a nut roast, shortcrust pastry pie and stuffing, making it a perfect vegan alternative this Christmas. The hint of cinnamon, combined with the sweet acidity of the whiskey, a drizzle of maple syrup, olive oil, fresh thyme and a good pinch of salt just makes this roasted root veg the best you've probably ever tasted. 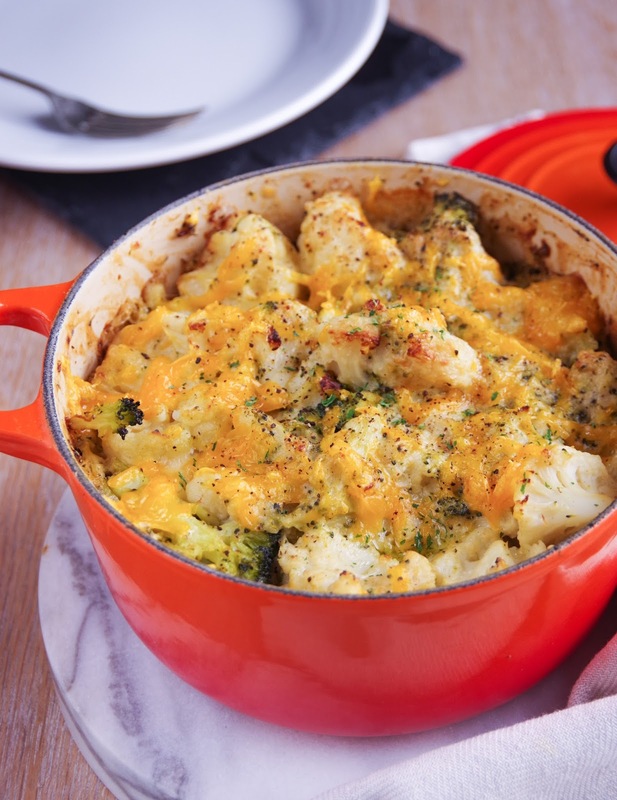 The veg is tender, with a little bite still to it, the veg is all perfectly glazed, with some crispy caramelised pieces from the edge of the pan. I used carrots, parsnips, butternut squash, sweet potato and Brussels sprouts. There's nothing better than roast potatoes, all fluffy inside, perfectly golden brown, crispy outsides, infused with mouthwatering flavours of roasted garlic, rosemary, thyme and sea salt. 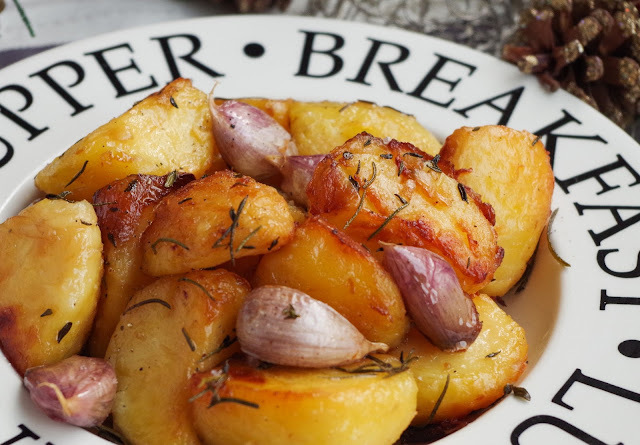 Roast potatoes are arguably the best thing about Christmas dinner and by following my tips, you can get perfect roasties every time. If you want to do something else with your sprouts than roasting, why not try these shredded sprouts, lightly infused with garlic, seasoned well and served up with vegan bacon and toasted pine nuts. I've been making this dish in my house now for about 8 years and it never fails to get polished off! Gravy - I know some people love homemade gravy, but it my house it's all about the Bisto - made up super thick and poured over everything. We usually end up making more half way through the meal. Cranberry sauce - Again, we also have store bought cranberry sauce - but I have seen some lovely recipes of fresh cranberries, simmered down with orange zest, spices and sugar, which sounds delicious and super festive. Horseradish - Biona sell vegan horseradish, but failing this you could grate some fresh horseradish into oatly creme fraiche or, Sainsbury's have a horseradish mustard that I'm sure would work just as well. There are few things that feel more comforting than this warm dessert, infused with mulled, Christmas spices. 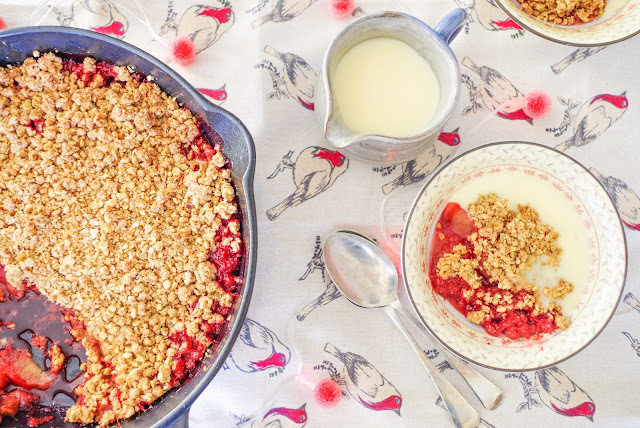 This pudding is a twist on the classic crumble, using plums, which perfectly take on the spices and cook down to be sort of jam like, but still holding their shape and a little tart too - topped with a hearty crumble topping, all crisp and perfectly golden brown. 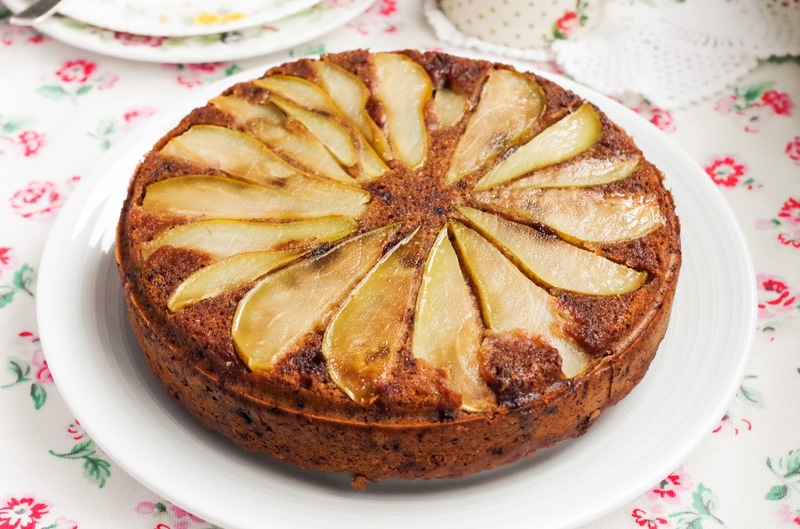 I used a mix of stem ginger in syrup and ground ginger to really deliver that ginger flavour, and the sweetness in this cake is delivered by dates and dark muscavado sugar for extra stickiness, the pears are also glazed with ginger syrup to keep the cake moist. This cake is so delicious and is great to share with friends and family this festive season, it's partway between a cake and traditional gingerbread and delicious all the way! It would also be incredible served up as a dessert with some warm custard. Sainsbury's, m&s and co-op all label their vegan wines, many more you can find on barnivore. If you have access to a wholefoods, Baileys almande, besos de oro is available online and at vegan fairs and of course, I'm sure you've heard about m&s' chocolate and coconut version - I've heard there may be more on the way, but it's currently £6 a bottle, reduced to clear in most stores. It's delicious with ice, in cocktails and in hot chocolate too! Take some vegan cider and gently heat with some cloves, cinnamon sticks, orange peel, a bit of sugar and any other spices you fancy. Serve warm and enjoy! Have a Merry Christmas and a Happy New Year and I'll see you in 2018 with some all new recipes!